I have taken a leap; A leap of faith, if you will. Not to try a new faith, a new path, but rather to risk that dreadful conversation with a potential new relationship. What I mean is, I decided to join an online dating site. I suppose I could have joined a dating site that caters to people of the same faith, like christianmingle.com caters to Christians or Pagandatingservice.com is specifically for heathens, but I chose not to. Instead, I joined a dating site that supports diversity. 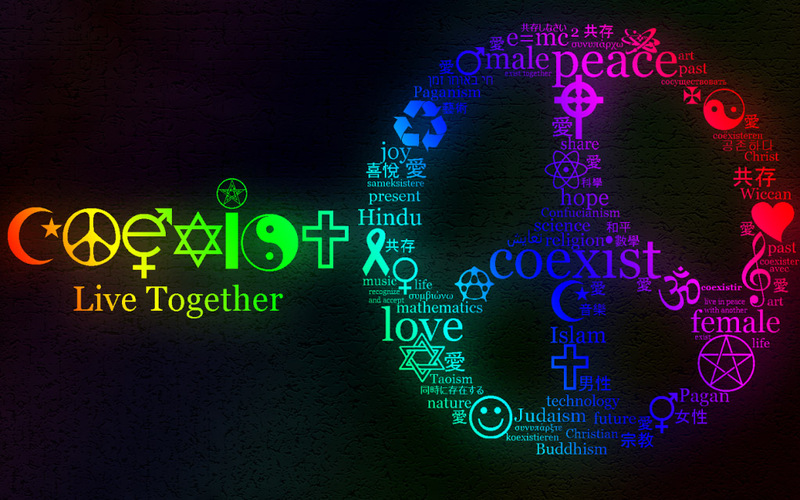 They do not let you restrict possible matches with things like race or religion because they believe what all of us should believe, and that is, learning to coexist. I am almost 40 years old and alone. All my friends from high school have married and formed families, and yes, some have ended in divorce, but that’s a different topic all together. My current friends, most of which happen to be pagan, are more like a family, and thus I do not view them as a possible romantic match, with one or two exceptions. I was married, now divorced and not by choice. I never had any children, and I’ve gone through many ups and downs regarding my health. I felt it was time to do something different. I knew that I was not going to meet anyone new if I kept hanging out with the same people and going to the same places, so I made a change. I’ve been going to new places, like art events and other local activities happening in this huge metropolitan city I live in, and I also joined an online dating website. I joined less than one week ago. I immediately had over 20 messages and faced the task of how to proceed. I’m a nice person, so I didn’t want to just delete those I didn’t find attractive, so I began with my personally developed process of elimination. Eventually, there was one man. I liked his message and no doubt I think he’s cute, so I responded, and we’ve been talking every since. This brings me to why I’m writing this blog entry. I foresee going on a date with mystery man in the near future, as we seem to be hitting it off quite nicely. The topic of religion is going to come up. I’m fairly certain that it’s one of the first things people who start dating discuss (by the way, I’ve never dated, much less online). What will I say if/when he asks me what my faith is? The truth, of course. However he responds, I’ll still be proud of who I am. Proud that I am a good person. Proud that I am not evil and I do not worship the devil. Proud that I have a deep connection with the divine and have embraced the beautiful soul that is me. I am proud to be a witch. If he doesn’t like what he hears, if he doesn’t receive the response he expected and walks away, then I’ll just know he wasn’t the right one, but wouldn’t it be great if he or anyone who finds themselves in this situation or a similar one, could just be okay with it? I mean, I do not judge people who tell me they’re Jewish or practice Buddhism or if they’re Muslim. I accept them and I respect their beliefs. After all, what is important is that they have a pure heart, a good head on their shoulders. If there is one thing that I can tell the world I learned from paganism, from Wicca, from being a witch, is that I have learned to coexist.